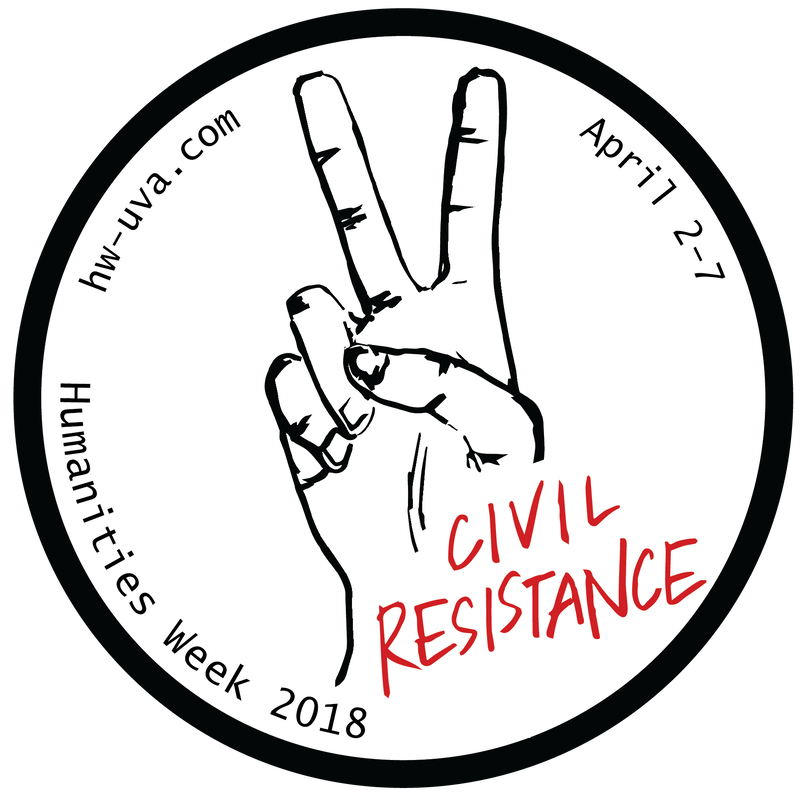 The theme of Humanities Week 2018 is Civil Resistance, which presents itself in a multitude of ways. Social movements, petitions, protest, art, court cases are forms of civil resistance that a democratic society promotes. 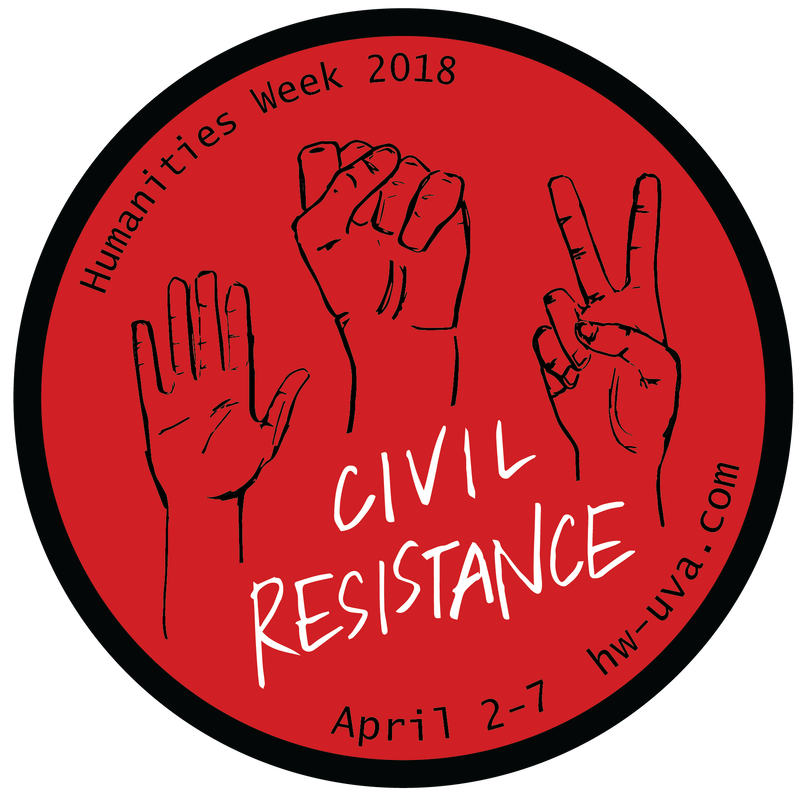 The week will be filled with events that explore Civil Resistance through a number of lenses – including poetry, exhibition, discussion, literature, panel, lecture, game, tours, photography, politics, movie, art, and more. Humanities Week will take place April 2-7. It is a student produced week of learning, fun, engagement, discovery, and collaboration. Director Chris Farina’s films portray people who live and work in familiar American settings and typically receive little media attention. In his award-winning film, World Peace and Other 4th-Grade Achievements (2010), he interweaves the story of John Hunter, an elementary-school teacher in Charlottesville, with his students’ participation in an exercise called The World Peace Game. The Holistic Life Foundation: Breathing Love into a Community (2015) is a short film portraying the work of the Holistic Life Institute, whose three founders have dedicated their lives to bringing the benefits of mindfulness and meditation to the inner-city neighborhood in Baltimore where two of them were born and raised. Seats at the Table (2018) features UVA’s Russian Literature Professor Andrew Kaufman’s class which brings together university students with juvenile detention residents as they study classic works of Russian literature. Farina’s work is guided by the principle of respect for the individuals portrayed, allowing them to tell the stories of their lives and their community in their own fashion. A moderated discussion with showings of the films trailers will be followed by a reception. Poetry has long been a form of art and public expression. UVA’s Puzzle Poetry group—a team of faculty, staff, grads, and undergrads—meet regularly to read poems, discuss literary theory, as well as fabricate a variety of poetry puzzles out of wood and colored plexiglass. Join them as they reveal their largest puzzle yet—a set of cardboard boxes featuring the sonnet “Outcast” by Harlem Renaissance Poet Claude McKay. Mini-cupcakes for those who try to solve the puzzle! Baker will deliver a lecture entitled "Tricks of Perspective: Reimagining the Second World War Narrative." She will also be reading from her current book, The Last Englishmen. Deborah Baker’s first full-length book, a biography of the American modernist poet Laura Riding, was a finalist for the Pulitzer Prize in 1994. After many years as a book editor in various New York publishing houses, she wrote A Blue Hand, an account of Allen Ginsberg’s travels in India that also traced the idea of India in the American imagination. While a Fellow at the Cullman Center for Scholars and Writers at the New York Public Library, she researched and wrote The Convert: A Tale of Exile and Extremism, a finalist for the 2011 National Book Award in Non-fiction. Her current book, The Last Englishmen, for which she received support from the Guggenheim and Whiting Foundations. will be published by Graywolf Press this summer. The influx of racist, violent ideologues to our Grounds and throughout our city on August 12 is reflective of the ways that the University of Virginia is implicated in the intertwined histories of slavery, eugenics, gentrification, and displacement. Most universities have established precedent for racial violence and hatred in the very fabric of their institutional constructions, and in that sense, the Summer of Hate could have happened anywhere. In our talk, we approach the specificity of A12’s occurrence in Charlottesville and at UVa by discussing the rhetoric of civility underwritten by the figurehead of Thomas Jefferson that has come to characterize the commonplace discourse of the University of Virginia. Local writer and activist Marc Mazique will lead this discussion based on his collection of essays published in zine form as The Tyranny of Civility. We ask: what is the relationship between civil rights, civil resistance, and “civility” on global, national, and local levels? What is “civility” when people of color, queer and gender-nonconforming people, Jewish and Muslim peoples, differently-abled peoples, and peoples who identify with the far political left are under attack? Learn how to use art as a vehicle for civil resistance, reflection, and comfort. Engage in a drawing workshop to learn key skills for artistic expression. This seminar features Shoshana Magnet, Associate Professor in the Institute of Feminist and Gender Studies and the Department of Criminology at the University of Ottawa. Her books include the monograph When Biometrics Fail: Race, Gender and the Technology of Identity (Duke University Press, 2011), and the edited collections The New Media of Surveillance (co-edited with Kelly Gates, Routledge 2010) and Feminist Surveillance Studies (co-edited with Rachel Dubrofsky, Duke University Press 2015). She has published in journals including New Media and Society, Body &amp; Society, Feminist Media Studies, and Women’s Studies Quarterly. The We Are Here Diversity Festival​, coming to Charlottesville on April 14, 2018, from 10 AM - 3 PM in the Ix Art Park, is a show of community solidarity and a celebration of local diversity through art, activism, and engagement. The event will feature multilingual poetry readings, local non-profits, Google Earth Virtual Reality technology, a community mural designed by local high school students, and keynotes by Khizr Khan and Susan Bro. 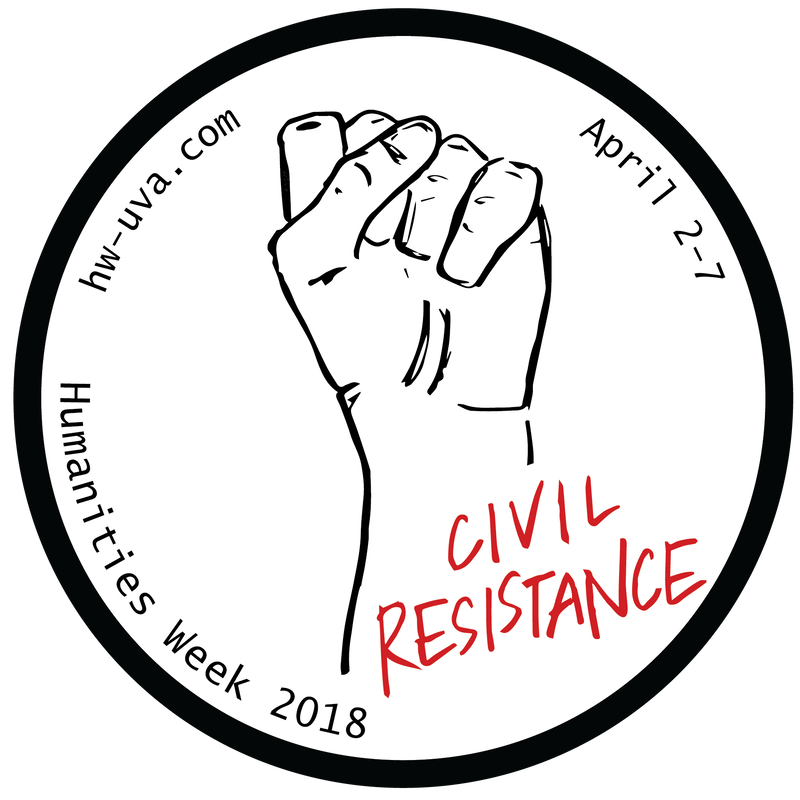 Join us during Humanities Week 2018 to hear from festival organizer Vanessa Braganza, who will use Pecha Kechu to discuss activism through the arts and how it informs this important event. This past fall at the University of Virginia and in greater Charlottesville, panels and open forums were held to discuss the ramifications of last August’s rally by white supremacists, the nature of free speech, and the meaning and significance of public monuments. However, few student voices were included in the discussion. This spring, after nearly two semesters of study, projects, and reflection, students from the University Museums’ Internship class and other parts of the University will present their research and discuss what they have learned about the intersections of art, protest, monuments, and media, not only in the wake of last August’s rally, but also in terms of recent events such as the Parkland School shooting and subsequent student-led protests. Curated by the University Museums’ Internship class, "Art of Protest" is an exhibition that highlights the ways in which artists have both documented and participated in the protests of the 20th century. Through the comparison of documentary photographs and three-dimensional objects, the exhibition will illuminate the role of art and artists in protest. In addressing the theme of protest, the UMI exhibition provides key perspectives not normally heard in a museum, counterbalancing the typical display of dominant historical narratives. Drawing particularly on strong photography holdings, this exhibition will utilize the Fralin’s collection as a means of identifying different modes of protest, overt and subtle, physical and psychological, to begin a dialogue about the role of the artist as activist.